Twice the battery life of a typical analogue device. 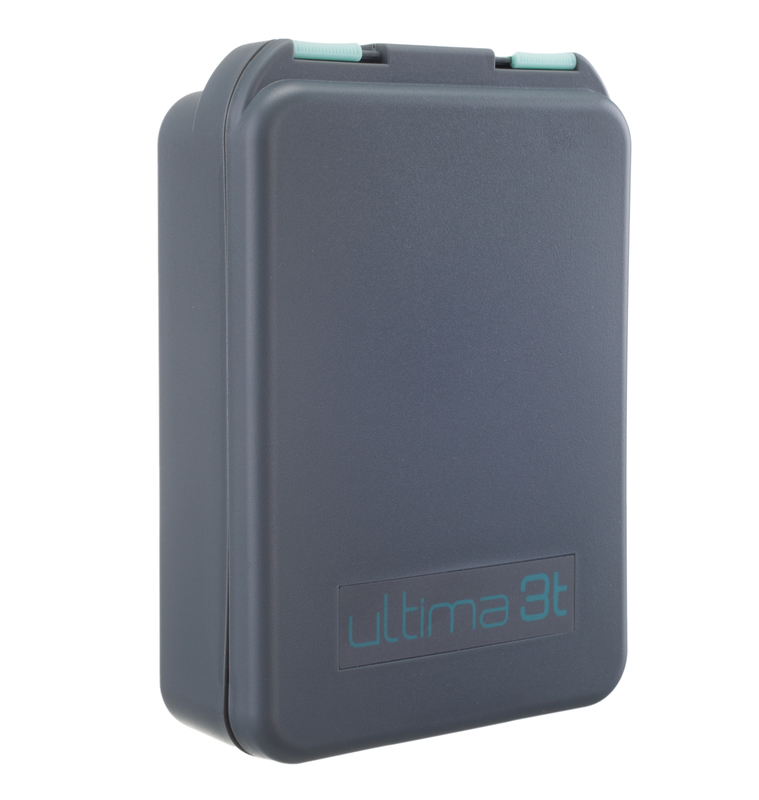 The Ultima 3T TENS - is a dual Channel device with 3 modes of operation (B, N, and M). Its pulse width and pulse frequency are adjustable. It is also equipped with a 30, 60, 90 minute timer, and has a protective cover over the controls. 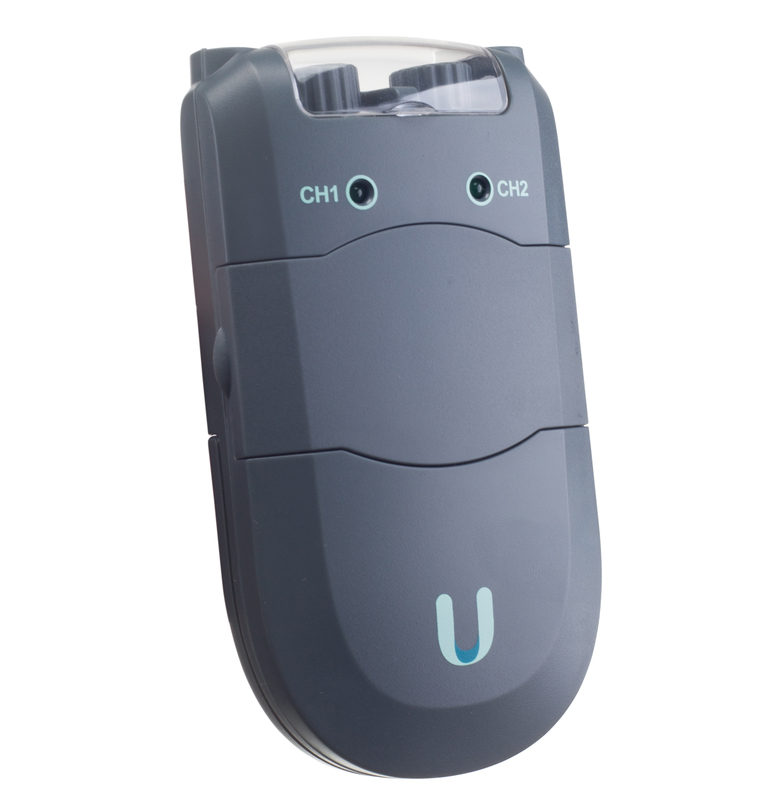 TENS units nerve stimulator with 3 modes and timer is durable, ergonomic, has always, a potent defense against pain. 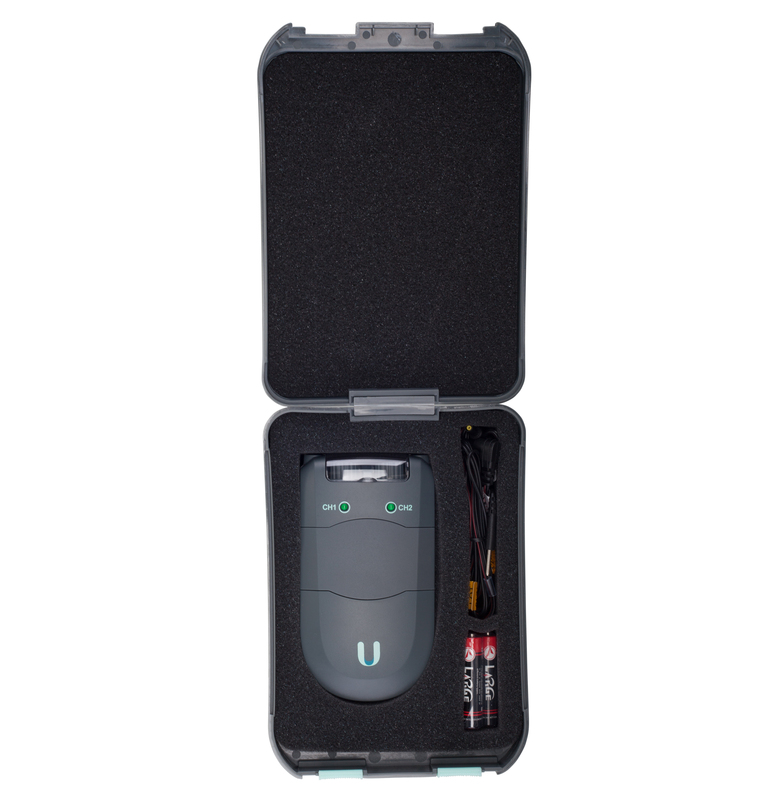 TENS neuromuscular stimulator can relieve pain and discomfort. This nerve stimulator comes ready-to-use with 1 pack of 4 electordes. 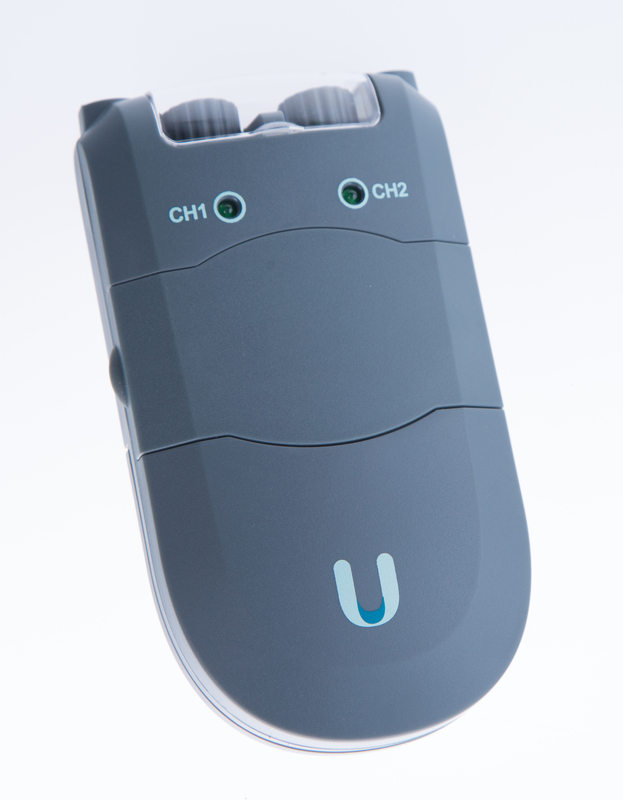 Nerve stimulator is a device used to treat chronic pain, and pain associated with active or post- traumatic injury unresponsive to other standard pain therapies. The electrical nerve stimulation device is applied to the surface of the skin at the site of the pain. Just remove the sleek black neuromuscular stimulator unit from its professional case, insert the battery, apply the electrodes, and plug in the lead wires. Turn on the muscular stimulator unit which has 3 modes(Burst, Normal, Modulation), to adjust the pulse width (how strong the current is) and the frequency (how many times the current is delivered over time) and you can enjoy a pain free day while you take it anywhere you go. TENS neuromuscular therapy stimulates sensory nerves to block pain signals, stimulate endorphin production to help normalize sympathetic function and has a biphasic, low volt current. 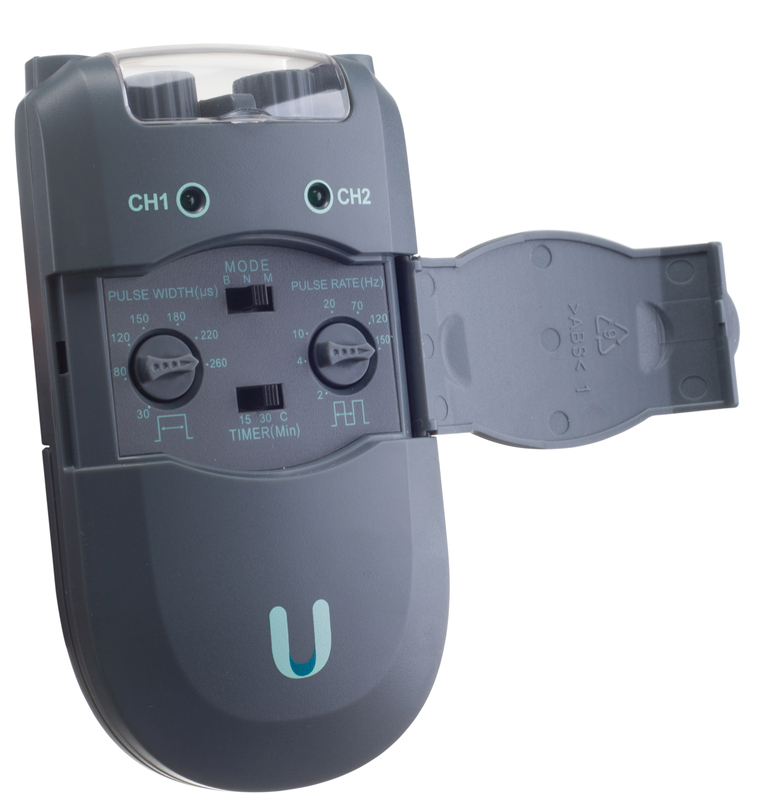 Neuromuscular stimulator comes with 5 year warranty against mechanical defects. This type of stimulation is characterized by biphasic, low volt, current and selectable parameters such as pulse rate and pulse width. TENS stimulates sensory nerves to block pain signals, stimulate endorphin production to help normalize sympathetic function. Burst: 7 pulses per burst, 2 bursts per second, 100Hz fixed frequency. Modulation Mode: Pulse width is automatically varied in a cyclic pattern over an interval of nominally 4.0 Seconds. Normal: Continuous output with adjustable amplitude, pulse rate, pulse width.